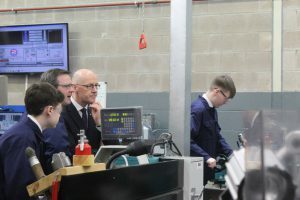 On Tuesday the 26th of February Deputy First Minister and Cabinet Secretary for Education and Skills, John Swinney MSP, officially opened the brand new Kelvin Innovation Centre in the Engineering wing at the Springburn Campus of Glasgow Kelvin College. With an investment of £1.5m the College has updated fully its machine-shop technologies and fitted out a specialist area for exploration and research in the field of engineering technologies. 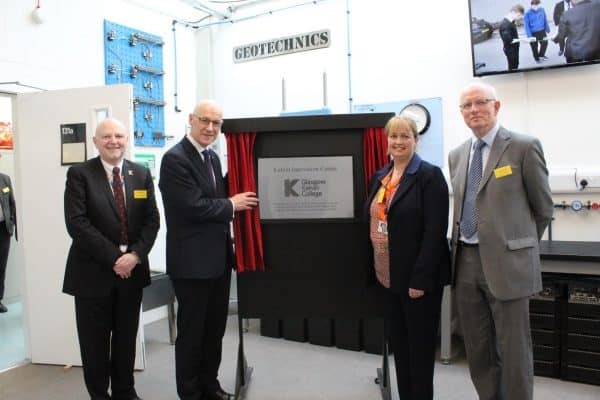 The Kelvin Innovation Centre’s key purpose is to encourage project-based experimentation by students researching into advanced and sustainable technologies, equipping them with much more than high-quality vocational skills. It is intended to encourage the problem-solving, team working and project management skills which are very much in demand by today’s employers. 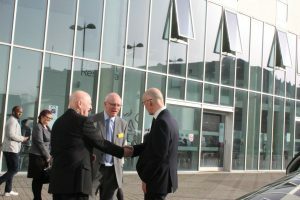 An audience of the College’s key stakeholders and employer partners accompanied the Deputy First Minister on a tour of the new facilities. 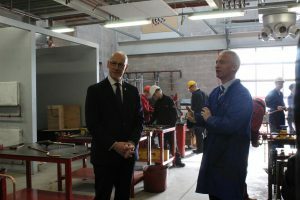 Deputy First Minister and Cabinet Secretary for Education and Skills, John Swinney MSP, today officially opened the brand new Kelvin Innovation Centre in the Engineering wing at the Springburn Campus of Glasgow Kelvin College. 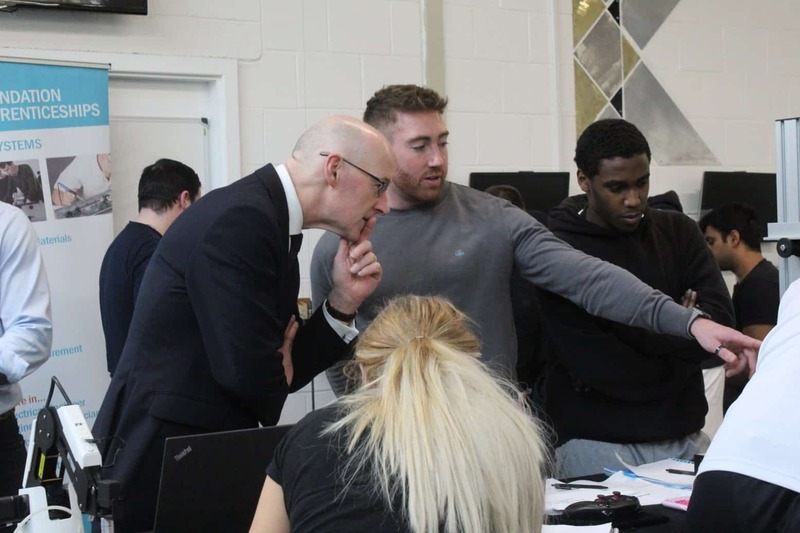 Extensive consultation with staff and stakeholders formed the basis for the developments in the Engineering department to ensure the new facilities supported innovative learning and teaching, developing the skills for the 21st Century. “The new Kelvin Innovation Centre and its state-of-the-art technologies will help our students and staff to form and develop new ideas in engineering, nurturing curiosity and exploring sustainable solutions.